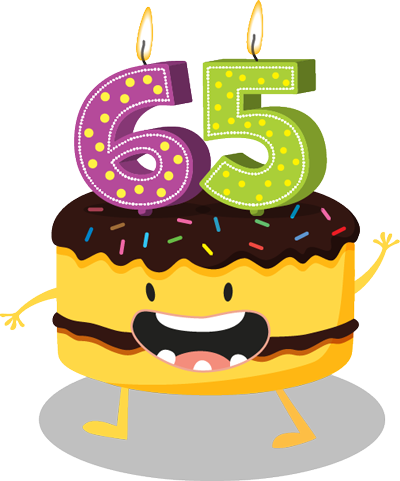 So you turned 65. What next? Well Linda, if all's right with the world you have had a busy life up to this point, you’ve worked in a job you liked, had friends and family around you that you want to hang out with, have ticked a lot of things off your bucket list and are living in a spot you love. Until one day the inevitable happens and YOU TURN 65! Once you get over the shock of this and have stopped saying “How the heck did that happen, I may be 65 but I feel 35” you will get handed the key to the money box marked “KiwiSaver”, that fund you have been steadily investing into for the last eleven years (which is how long the scheme has been around). One of KiwiSaver’s key features is that (in most situations) you can’t access it and spend it until you turn 65 which I’ve always thought of as an EXCELLENT idea - because as Kiwi’s many of us think we are incredibly good with money, when in actual fact we are quite stink at planning ahead. KiwiSaver has forced you to save and now that you are 65 I bet you are quietly thankful for that? So what happens with your KiwiSaver now that you can access it? Well, everything can change, or nothing needs to change at all. It’s your money and you get to decide. Of course at this point you could stop work, go shopping and blow the lot BUT hopefully you realise that although many retirees are in fact still working, the working years and ability to earn cash are starting to wind down and more than ever you need to spend carefully. If you are happily working, either self employed or as an employee and have been making contributions and receiving compulsory employer contributions then you can just keep ticking along. Employer contributions are no longer compulsory once you crack 65, and whilst some may stop contributing, others may continue. I’ve spoken to people who fall into both camps so your situation will be unique to YOU - just look at your employment contract and ask your boss what the go is. If you want to stop making contributions from your wages you can at this time, you just have to fill out the appropriate paperwork and you will find this on the IRD website. If you stop your contributions and later on you change your mind, well you can just start them again. Why would you continue to pay into your scheme after you are 65? Going back to the question above, Linda has about $80,000 in her scheme and she may well still be working, earning an income AND receiving the government super. She may still be in a position to invest, so what’s the harm in adding to the $80K that’s already in the pot? There is a good chunk of change there that is hopefully in a scheme that is performing well and compound interest is adding to the balance over time. The one thing that will stop is the member tax credit of $521 each year provided by the government when you contribute $1,042. Why? Because now you are receiving hundreds of dollars each week from the government superannuation instead! Lucky you. As long as you have been a KiwiSaver member for five years you become eligible to withdraw ALL of your savings as a lump sum when you qualify for NZ Superannuation at 65. This is known as your end payment date and any money you take from your KiwiSaver account is tax free (because you have already paid tax on your investment returns as you went along). When you have blown out all of your candles, the hangover has worn off (let’s give you two days to recover, instead of the one day it took when you turned 25) you now have the option of accessing your KiwiSaver. All of it. So, should you remove the lot as a lump sum or draw a pension from it? Linda you DON’T have to draw any or all of your KiwiSaver out just because you turned 65, it can stay there. And if you take it all out as a lump sum then what are you proposing to do with it? There is little point in withdrawing it all and putting in in your savings account with your bank and hopefully your plan is not to blow it all on a cruise? A quick check of a savings account at a New Zealand bank shows me I could earn 2.05% interest for a balance between $50,000 - $99,999. And I think that interest rate may be before tax too. Using www.sorted.org.nz I see that the average return of a ‘balanced’ KiwiSaver fund has been 6.54%. Yes you probably should make sure you are in the CORRECT fund, ie. a less aggressive fund with low fees, the reason being if the markets take a dive, sorry to tell you, but you have less time to wait for your balance to recover and you need to protect the asset you have been building up. You can just leave it in your KiwiSaver account and treat that like a bank instead and “draw a pension” from it to top up your superannuation payment each fortnight. So, think very carefully about withdrawing all of your funds as a lump sum to put somewhere else and thereby ending your association with KiwiSaver and the returns you have been receiving. Once you shut the door on KiwiSaver for good you can’t get back in. Using Linda’s example above, if she were to retire she would receive her government superannuation of $780 after tax each fortnight, thats $390 each week. She also has her $80,000 in a KiwiSaver account and can draw off a sum of money each fortnight on the day her pension came in to top up the amount she receives from the government. She might draw $200 each fortnight, giving her a total of $490 a week (including her super). So she can use her KiwiSaver like a bank account thereby ensuring she has a stable income. Of course none of us know how long we are going to live for and how long we need to eek out our money, so I think to answer this question it just comes back to planning and budgeting in the years leading up to retirement - because if you know how much money you need to live each month then you are in a position to plan for your retirement years. If Linda drew out $200 per fortnight her $80,000 would last her about 16.5 years (rough as guts calculation here not taking into account returns she receives on her capital during that time!). But hopefully you get the gist? She is going to plow through her money over time and it’s a tricky balance knowing how much capital and interest to draw down. This rule tells you how much money you need to save up so that you can then draw an income off whilst retaining the capital. A super handy exercise to go through to help you plan for the future. NOW a further option to throw into the mix is using a provider that gives a GUARANTEED INCOME for life, also called an annuity. I might do a blog post purely on this annuity type fund at some point as it has been very interesting looking into it! Basically, you invest your lump sum of $80,000 with them which they will invest in a diversified balanced fund (not too dissimilar to your KiwiSaver fund) and after fees and tax they will release to you $153.85 a fortnight for the rest of your life. These websites have a handy calculator where you plug in how much you have to invest, your age and voila it spits out a fortnightly figure. I have to say, this is a pretty sound option as it takes all the uncertainty and guesswork out of it for you Linda. You don’t have to worry about how the share market is performing and the impact it may have on your money and you know you have a steady income coming in to supplement your superannuation payment, which will help with your budgeting. And if for some reason you decide you want your entire lump sum back, well you just draw it down - so it’s not locked away. This income lasts as long as you do, but IF your $153.85 a week runs out then an insurance policy kicks in and the payments will continue and if there is any left over when you pop your clogs, it gets paid to your estate. Fees with the Simplicity fund are admin fee of $30 per year plus 1.61% (this is to cover the insurance to guarantee the income) and with Lifetime there is a management fee of 1% per year and the insurance fee of 1.35%. I had heard about this annuity before but because I’m 20 something years off retirement age I didn’t take the greatest deal of notice, but now that I have done some research into it it does seem like a very sound option. The main reason being that if you have managed to save a large amount for your retirement, chances are it has been invested in the share market somewhere. When you are younger that’s not an issue, if the economy hiccups then we just need to ride out the months or years and wait for the good times again. Not so easy to do as you get older. These annuities manage this risk with insurance so that if this did occur they pay out. Plus, you don’t have to actively manage your money, someone else is taking care of that for you (much like they did with your KiwiSaver really). So, there you are, THREE options for you to look into Linda. To end, if you have been eying up the $80,000 as some sort of lottery jackpot that you get to blow when you hit 65, then get ready to enjoy a retirement living on just $390 a week, thanks to NZ Super. KiwiSaver is not an unexpected windfall just waiting to be spent, it’s an investment fund that has been consistently and diligently paid into by YOU in the years preceding retirement. So whatever you do with it, do it carefully would be my advice. Hope that helps you Linda?